In 2008 Littelfuse, Inc. purchased Startco Engineering Ltd. The company, which is based in Saskatoon, Saskatchewan, is a recognized leader in ground-fault protection products and custom-power distribution centers that are used in industrial manufacturing and mining applications. Littelfuse acknowledged that the acquisition of Startco will strengthen their position within the industrial protection business and growing mining industry with Startco’s line of ground-fault and motor protection relays. One of Littelfuse Startco’s main products is the Protection Relay which includes a comprehensive line of motor and pump protection relays, arc-flash relays, ground fault relays, feeder protection, pump controllers, time delay relays, flashers and tower lighting, and more to minimize electrical safety hazards, limit equipment damage, improve productivity, and safeguard personnel from injury due to electrical faults. Professionals in construction, manufacturing, mining, oil & gas, solar, and many more industries rely on Littelfuse Startco for rugged, lasting protection for their designs and critical applications. 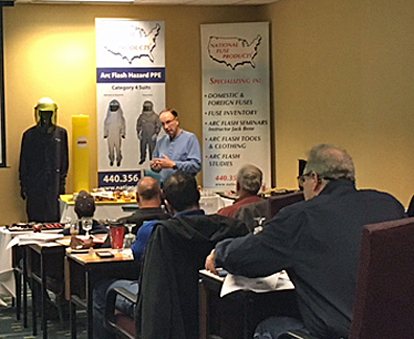 Most of Littlefuse Startco’s products are manufactured in Canada with the exception of SE-105, SE-107, and SE-325, which are now manufactured in the United States. GRND FAULT IND SYS The PGR-3100 indicates the presence of voltage on each phase of a three-phase system. The Littelfuse PGR-3200 operates on AC ungrounded systems. This insulation monitor detects ground faults by continuously monitoring the insulation integrity of ungrounded electrical systems. The relay monitors the insulation for damage. The Littelfuse PGR-3200 assists with predictive maintenance and troubleshooting of developing ground faults by providing two warning and an alarm level. 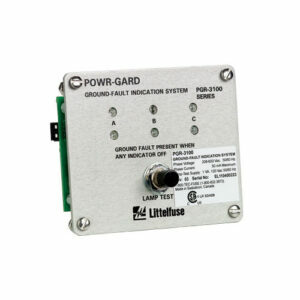 The PGR-3200 operates on one- or three-phase ungrounded systems up to 6 kV. The Littelfuse PGR-3200 can also be used on a grounded system to monitor the insulation for damage, while the power system is de-energized. The mode-of-operation terminals (27-28) are connected to the circuit breaker or contactor auxiliary contacts to toggle the relay off when the contactor or breaker is closed. GROUND FAULT GROUND The SE-105/SE-107 is a combination ground-wire monitor and ground-fault relay for resistance-grounded systems. It continuously monitors the integrity of the ground conductor to protect portable equipment from hazardous voltages caused by ground faults. The SE-105/SE-107 is an excellent choice for trailing cables 5 kV and under in underground mining applications. For higher voltages or long-cable applications, see the SE-134C/SE-135.